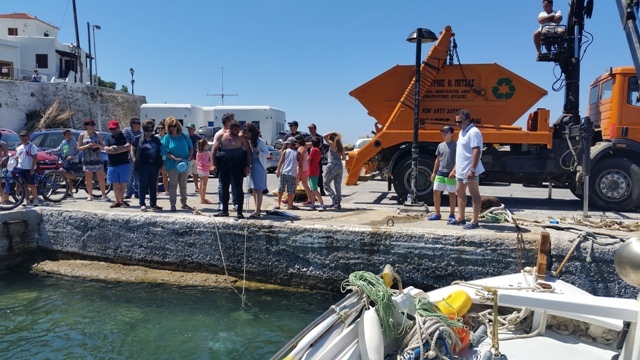 Life project’s boat participated in the seabed cleaning for the port of Batsi, which was organized by the Port Authorities of Andros and was concluded on Sunday the 12th of June. Life project’s boat participated in the cleaning after the request of the port authorities and these activities were part of the wider actions of the project for the protection of Andros island environment. 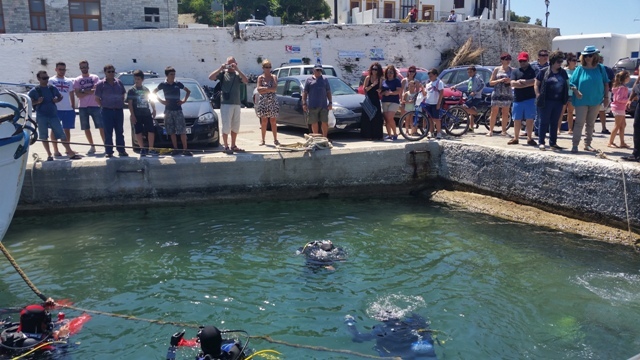 The seabed cleaning was realized by a group of Port Authority executives, a team of twelve volunteer divers – members of the non-profit organization of non-professional divers “TITHIS”, the speedboat “KALYPSO” that belongs to the Municipality of Andros with the head of Life project Mr. Isidoros Nikolaou, the volunteer from Andros network Mr. Dimitris Petsas who handled a tow track and several volunteers that helped in gathering trash. We remind you that Life project is realized by the Municipality of Andros with the contribution of the LIFE financial instrument of the European Union.